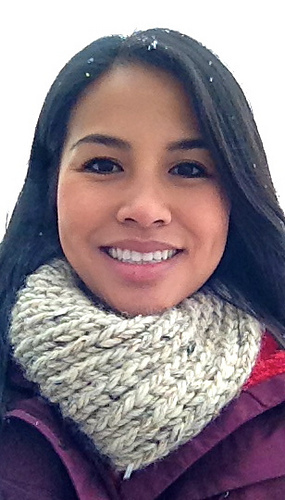 Here’s a super simple heavy-texture cowl, suitable for the very beginner. 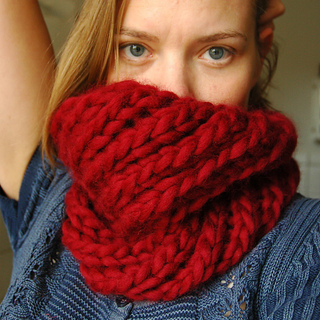 It knits up fast and produces a very warm and stylish piece. 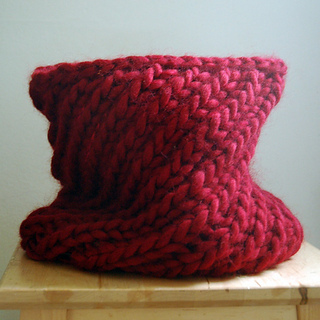 Knit in super-bulky wool, it will be fairly stiff and stand on its own like a collar. 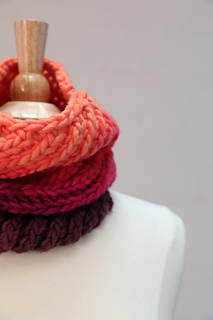 Knit in alpaca or other blends the drape around the neck will be softer. 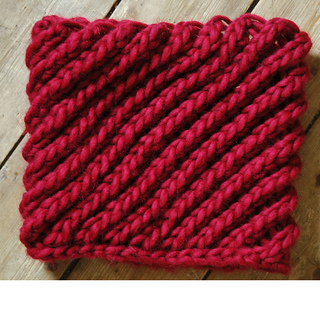 Play around with yarn and needle size to achieve the desired look. 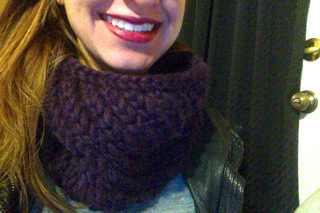 Pictured cowl was knit on size 12mm needles, but 15mm needles will do as well. 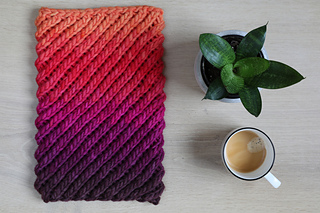 You need to work on circular needles or DPNs for this project. You are free to use these instructions for classes and knitting for charity or profit. Happy knitting.